I remember the first time I heard about yoga in schools. My best friend from college taught at a private school in my city and she mentioned that one of her students’ activities was yoga. I was like WHAT?! That is so cool! I’d imagine that yoga has many of the same positive effects on kids that it does on adults, but how specifically does it positively impact children while in school? A quick google search found multiple articles about this very subject and all of them mentioned several benefits to kids in school including improving their anxiety, flexibility and strength, and lessens feelings of aggression. It can help reduce their anxiety through learning breathing techniques. Yoga is also meditative by nature so they will be soothed by the repetition of poses. Different breathing techniques can help lower a child’s stress level. According to a CNN article, Beyond ‘Namaste’: The benefits of yoga in schools, having them focus on exhaling with long breaths will help stop them from hyperventilating and stimulate the parasympathetic nervous system which is your rest and restore nervous system. Meditation or the different flow of yoga poses will also help them to relax. If you’re trying to get kids to meditate have them focus on something specific. This will help them to sit still. Focusing on something fun like a favorite color will help put them into a more relaxed state which will help with the outside pressures they feel in school. 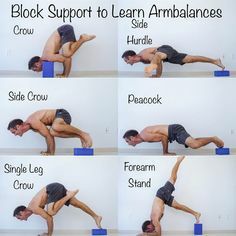 As we all know yoga not only helps increase flexibility but also physical strength. A child that practices yoga will digest their food better and have better weight management. It’s also a good opportunity for them to learn more about their different muscle groups. 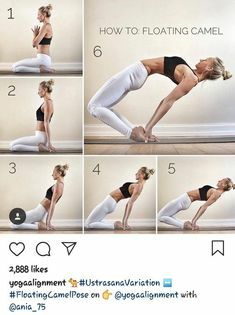 Practicing yoga has a myriad of other physical benefits including improved posture, more controlled movement, and some studies have even shown improvement in bone density for your hips. Teaching children different yoga techniques will help them lessen their feelings of aggression or frustration. One technique that I found on moodsters.com, is called body scanning. Essentially a child lies on their back and focuses on individual parts of the body and relaxing each one. This will help them to focus on relaxing their whole body and in turn relaxing their mind in a stressful situation. Incorporating some aromatherapy into yoga can also reduce feelings of aggression and stress. One mom found that placing a few drops of lemon essential oil on a cotton ball and having her child sniff them, lessened the feelings of stress and aggression. Yoga has many great benefits for everybody young and old. I look at yoga the way I look at learning a new language. It’s much easier for young kids to learn and become fluent in a second language, so why not start teaching them at a young age? Why not have your child start practicing yoga at a young age so they can start experiencing the benefits early and have more confidence and ability to manage stress throughout their entire life?